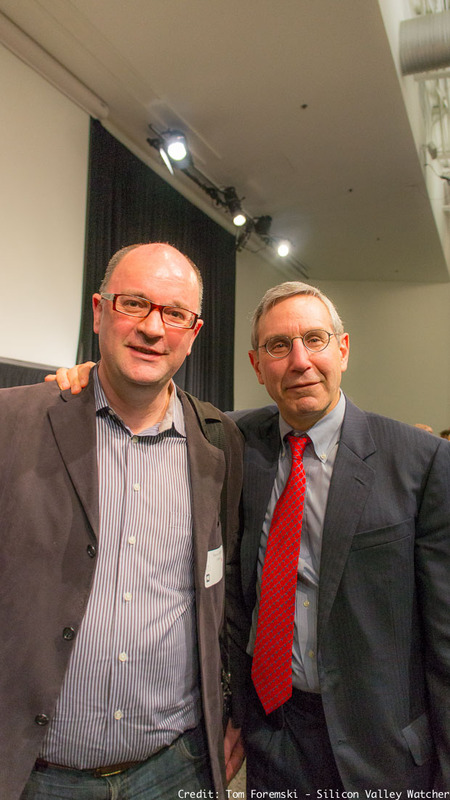 Richard Edelman (right) with Steve Barrett, Editor-in-Chief of PR Week, at a Churchill Club event in 2013. The advertising industry is going through big changes and that means opportunities for PR firms to compete for large marketing budgets normally allocated for advertising. PR agencies have a window of opportunity while the advertising industry is distracted in a wave of consolidation, such as the huge Omnicom and Publicis merger; and the agencies are distracted with responding to disruptive trends, such as algorithmic ad buying. This is a very good time for the PR industry to move against the ad agencies. But with what? How? Here is an extract from his “6 A.M.” blog post: Show Up Differently. We believe that the combination of public relations, digital and research will allow us to build a new kind of marketing communications firm that can help clients both promote and protect their brands. … [And] to challenge the status quo, which has placed advertising agencies as the first among equals. Foremski’s Take: The headline “Show up differently,” says it all because the only way PR firms will make headway against the ad agencies is by being creative and innovative. But I’m not confident they can do it. PR firms have done little to challenge the status quo over the past decade. I’m continually astounded as to why they are so risk averse and haven’t tried to implement business strategies and new services that seem obvious to me. The same goes for the media industry where there is an even greater lack of different ideas. Yet we are living in extraordinary times. Our society has at its disposal incredibly powerful media technologies. The Internet is a publishing technology — but now it works in both-directions. Our computing screens are no longer one-sided, they work on both sides of the glass: displaying and creating — our computing devices have become both the paper and the printing press. We’ve built a new type of Gutenberg press, a vast virtual printing machine made from Silicon Valley’s media technologies. We’ve moved from moveable type, to reconfigurable type. We can create reconfigurable media of all types, on-the-fly. We have the means to develop new types of media, in new formats, in new expressions. And we’ve barely begun. I see lots of opportunities for disrupting PR firms, and the advertising agencies. A new kind of marketing communications company will arise, as Edelman predicts, but I doubt it will come from within. It has to be what I call a “New Rules Enterprise." I have 10 rules defining a New Rules Enterprise and the first and most important rule is that it is new. Because new thinking is so difficult, and so time-consuming to push through in established organizations. Innovation develops far more rapidly within new ventures. I agree with Edelman that, “Show Up Differently” is vital to the future of the PR industry. The danger is that the advertising agencies will figure out how to do things differently, faster. How the PR industry meets this challenge will be an interesting story to watch in 2014.